I love IKEA …..LOVE!! I mean, who doesn’t right? Most of their popular on-budget furniture pieces like the LACK, KALLAX, MALM, BILLY(sorry nerd alert!) have such huge potential for customisation, its unreal! 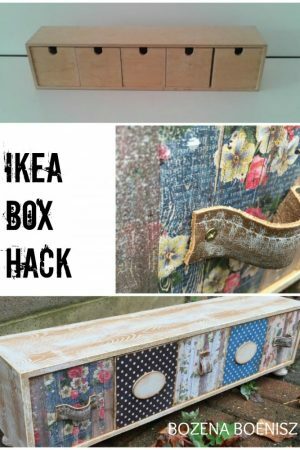 The process of repurposing or updating IKEA furniture, also known widely as ‘IKEA Hacking’, is quite the craze these days (hence the birth of the IKEA Hackers website). 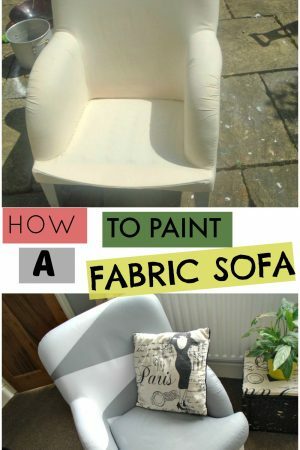 There are lots of different ways to achieve a hack – but the simplest method of all and my favourite, is just to paint IKEA furniture. 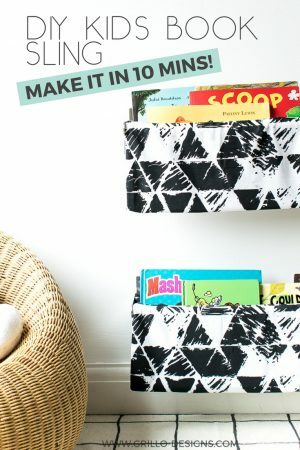 IKEA furniture can be tricky to paint at times, especially the laminate coated pieces, but when done the right way, can make such a huge difference (you can see for yourself by viewing some of my IKEA projects here). 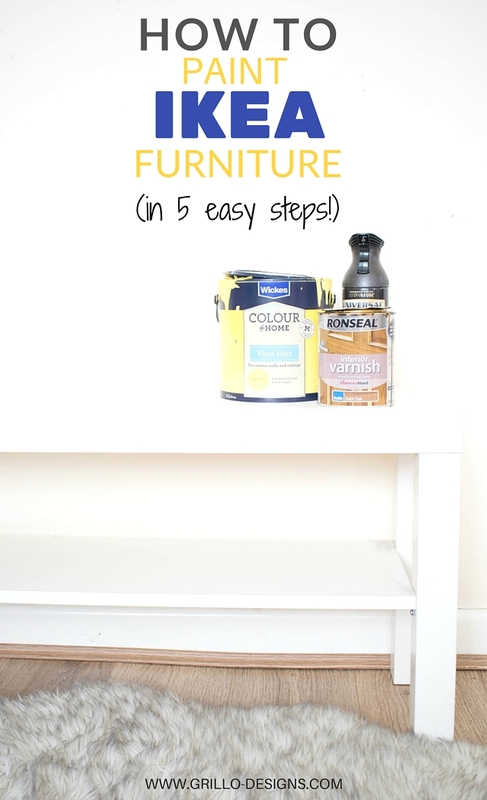 Today, I am sharing how I paint IKEA furniture in 5 easy to do steps. Disclaimer: I am by no means a painting expert, but like to think a few years of hacking has taught me something! Most IKEA furniture, have a laminate wax type coating that makes it difficult for paint to stick effectively to its surface. I know it may be a controversial choice, but I ALWAYS sand as part of my prepping routine . In my opinion, the sanding process just helps to scuff and dull the surface a little, giving the primer something to grip on to. 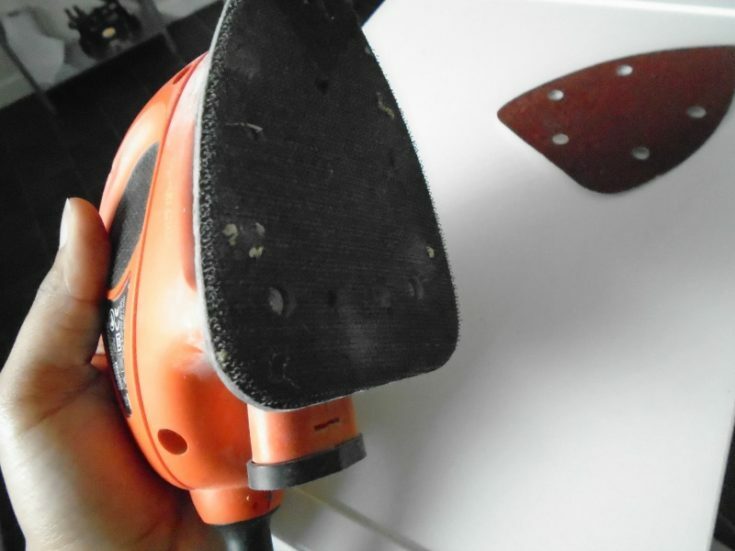 You can either sand by hand with a 150 grit sander or use an electric sander ( I love using the Black and Decker sander personally, but I hear the Boshe Orbital Sander is also very good). I don’t always stress the importance of this in my painting tutorials but cleaning after sanding is a must! I usually dust off with a damp cloth and then I like to use this (or TSP) to give it a more thorough clean. Cleaning this way just helps to get rid of any grease that may further prevent the primer from adhering to the surface. 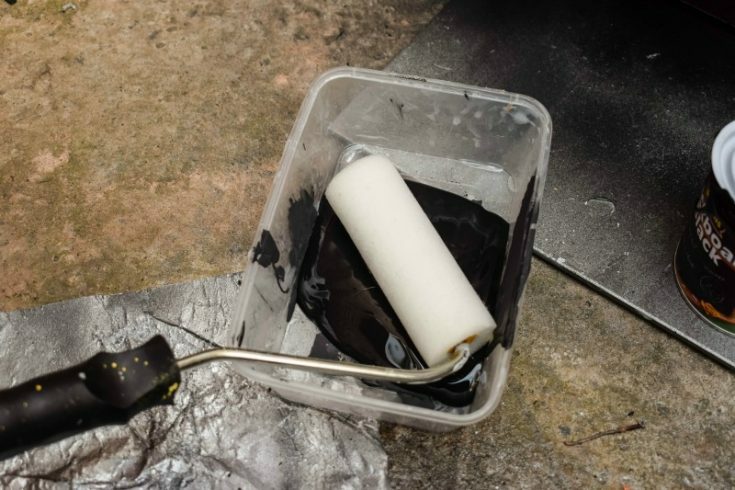 Always prime (this will help the paint to bond to the surface) and if its the laminate effect IKEA pieces you are painting, then it needs to be an oil based primer . NOTE: Oil paint primer needs to be applied in a WELL ventilated area as fumes are quite strong! I like to use cheap foam brushes to apply primer to avoid brush marks. I’d like to add here that sometimes I do get away with just using spray on primer applied in very thin layers s…as long as it doesn’t scratch off once dry… you’re on to a good start! Now that you have primed your surface like a pro – you can use just about any type of paint (latex, milk or chalk ) for your top coat. Personally I like to use latex (emulsion) paint as I find it more cost effective than chalk paint. I also love the easy coverage and application of it. This is, I think the most important part of the whole process. Coating your newly painted surface with either a clear non-yellowing varnish (polyurethane) or a clear wax ensures it remains protected for years to come. If you plan on using your furniture in a high traffic area, then using a Varnish/polyurethane may work out better in the long run. If you do choose to use wax as a sealant, ensure you are using a wax brush or cloth to apply it and also that you are leaving it the recommended amount of time to cure (normally about 24hrs). When applying polyurethane a good quality paint brush is enough, but again it needs to be left to dry before applying further coats. Since I’ve been using progress pictures from my previous IKEA HACK post where I transformed a standard white KALLAX into a cool looking industrial piece for my son – I think it only fair to share the final picture! What do you think? And that its guys…. everything I know about painting IKEA furniture. Not too complicated I hope? Do you think this post has given you the confidence to tackle your own IKEA piece? Can this apply for IKEA kitchen cupboards too? How do you know if it’s the “laminate effect” type of surface? You mentioned it needs a particular oil-based primer. Yes! A great primer is Zinnser – you must try that! This is really helpful info thanks. We’re doing a Billy hack to make bookshelves in our kitchen. 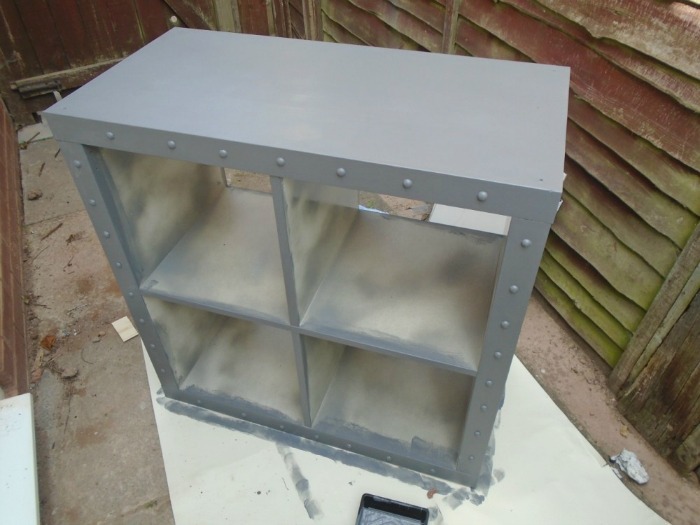 We used a primer then Matt emulsion paint, which looks great. We started painting on a water based matt varnish and have really visible brush marks. Do you have any tips to avoid this happening? Great post. We painted our IKEA kitchen cabinets using a very similar process, though we sprayed instead of roller’d. Agree that the primer is the key and BIN is excellent. Wow I love what you have done – looks amazing! This is really helpful. Thank you! I love the gray and orange paint you used. What are they? Thank you for sharing all your tips! You have some beautiful projects. 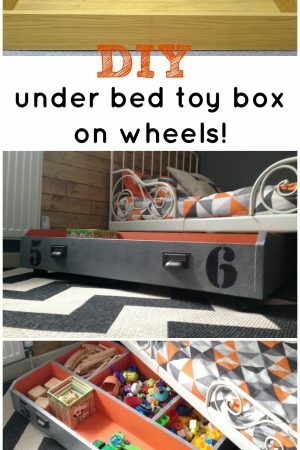 I have a hand me down white Malm bed that I’d wanted to add some small stencils to for my daughter’s room. From everything I’ve read it doesn’t look like I’m going to be able to paint stencils on without sanding, and priming the whole headboard. That will probably mean repainting the whole thing as well since I imagine exposed primer won’t look particularly good. Any ideas on how to make painting just a small part work or am I just going to have to bite it and paint the entire bed? Ahh I’m glad you found this post useful! If I follow your steps of sanding and priming my billy bookcase, do you think I can spray paint it instead of paint? And if so, would you still recommend a sealer on top? Many thanks! 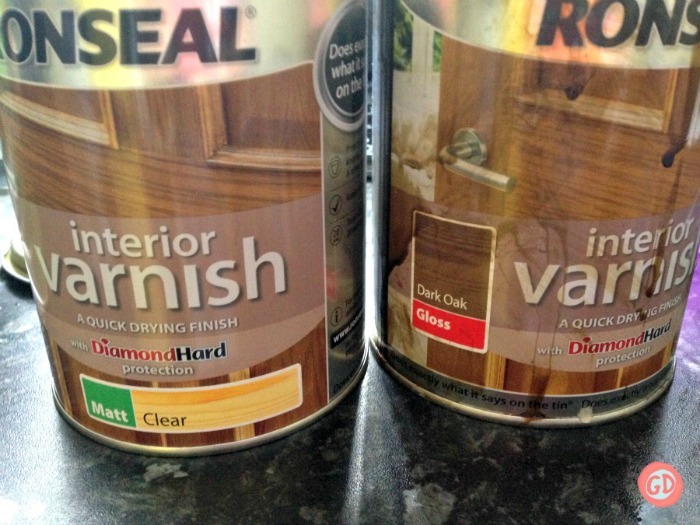 Yes you can do that- but I would still recommend a sealer on top so it doesn’t scratch off! Can I ask you if we can avoid the sanding step? Hi Rina, can I ask what brand undercoat you used? That is really the most important part… there is not point in sealing if the paint is already scratching already. I really would like to revamp the IKEA play kitchen (DUKTIG) but I really don’t know how to go about it. Any suggestions would be greatly appreciated. Thanks for sharing all your amazing ideas. Hi! Do you recommend taking the IKEA furniture apart first or just painting it already assembled?Thanks! You can do either or. However im thinking painting before you assemble might be easier~! Pooja, follow the exact same steps in this article and you cant go wrong! This is great!! Thanks. I have an iKea piece to paint as well. However, I was thinking of staining it. Have you ever used stain on any of ikea laminate type piece? Do you think it will take the stain?? Thanks. 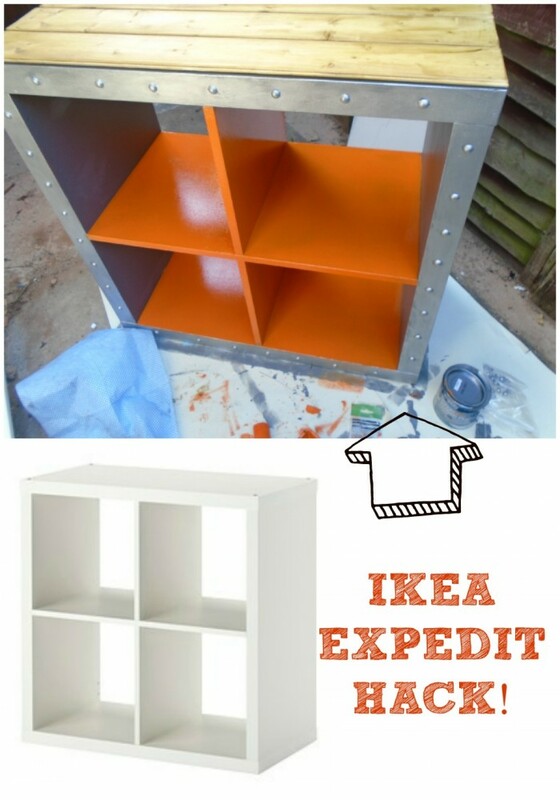 Thank you so much for the tutorial on painting IKEA furniture! Really good instructions! You are most welcome! Glad you found it helpful! Thanks for this post!! We’re moving shortly and I need a pantry for the kitchen, so I am researching Billy bookcases with doors. I don’t like the finishes and am definitely going to paint. I am leaning toward chalk paint, but had some reservations about the finish it would produce on the laminate. After reading your article, I got me some TCP and am going to use latex. Do you think I should I use flat with satin polyurethane? 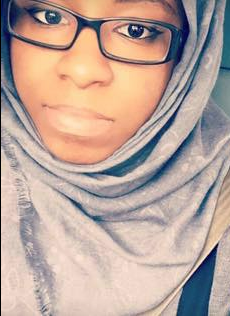 Do you think I could use flat/flat and wax on top? Good luck with your move. We have just moved homes so I know how stressful it can be! Latex is always my choice as it is so much cheaper. I would definitely go with a polyutherane rather than wax if you are going to be putting this in your kitchen…. a flat satin is fine if you dont want a shine on it. But if you want a more glossy look, a gloss effect polyutherane will work for that. Just ensure you are using a non-yellowing poly so it doesn’t change color over time. Hope that helps! 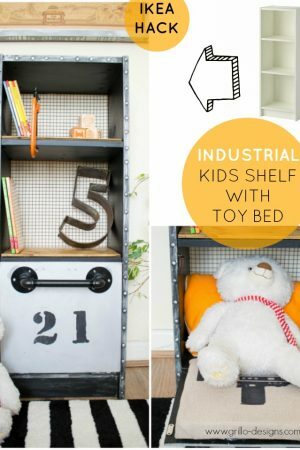 This little industrial bookshelf is a killer! I love it! And I also love hacking IKEA and IKEA-like pieces, but I HATE that darn wax they all have. I follow the same steps you recommend but sometimes not even that is enough for the paint to stick to it. Maybe I should wait a little longer after priming it. Will try next time!